Really?? The level of immersion you get in most games far outweigh the drop in graphics you get compared to a pc monitor. Example on flight Sims, over the years I tried many pc upgrades, fantastic graphics cards, triple monitors, head tracking. But all of the above combined doesn't come anywhere close to what the rift delivers. 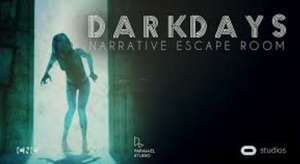 FPS games, where co locating your teammates is easier, movement is natural, you have a gun in each hand, you're actually in the game rather than looking through a window with pc controls that are limiting to say the least. Yes the graphics are a step down from the state of the art pc offerings, however the interface and immersion are several steps greater than what a keyboard / mouse / can offer. I guarantee that when the stand alone vr units have the right price point and the big studios are releasing content then there will be a whole new market. My elderly relatives loved the rift after ten minutes, whereas it took them a decade to get a smartphone. Yeah, I agree it has Passthrough, but not 'Passthrough+" EDIT: From your link "Correction: Clarified that the Oculus Rift S, because it has an additional external camera, will make use of Passthrough Plus, while the Quest will simply use standard Passthrough." Where do you buy this from to use referral code please? We have no idea when the Rift S will be revealed, if it's even a real thing in the first place. Just saying. If you have a decent PC to run it, it's like night and day. The touch controllers and tracking are far superior especially if you have 3 sensors. Also supersampling can make big difference to image quality if your PC can handle it. I have an Oculus Rift, Lenovo Explorer and a PSVR, they all have their pros and cons. How's this compare to the PSVR? https://www.amazon.co.uk/gp/product/B00SJ22DBK/ref=oh_aui_detailpage_o00_s00?ie=UTF8&amp;psc=1 Here you go, 43mm, the one si have on my rift, they are fantastic. You don't happen to have a link for those protectors, do you? I searched healshield and can't find anything. You can, but you need to use a VPN. Then if you do get the credit it’ll be in dollars and I’m not sure if you’ll be able to spend it easily. Decided to take the plunge and try it. Code from subreddit worked but it took for a couple of days to finally nab a working one. Will UK users be able to send out referral codes to receive software credit too? Worked great. Got a referral from the megathread on a subreddit. Do you get the 10 quid argos voucher for spending over 100 too? I picked up a Go just to try one out really. VR is really rather amazing, I have been incredibly impressed. No market for the £200 Go XD less for the £400 Quest (lol) . Oculus is committed more than any other company to VR both in hardware and software, no doubt a Rift 2 will be announced before long but tech hasn't advanced that much since the original Rift. It wouldn't be wise to do what HTC did with the Vive Pro. I owned the Rift for a year before buying the Samsung Odyssey (Original) and although the screen is much nicer due to the improved resolution and amoled panels it isn't that different. Just get a display port to hdmi cable or adaptor for your monitor and you’re good to go. Agree I regret missing out on the ebay code deal.. Thanks OP for posting. Waiting for the £299 before biting. Black Friday with the ebay code I think was £299, so hoping for a similar deal! Quite fancy one of these but I'm holding out for £300 :) Need to research adaptors anyway as my graphics card only has one HDMI out and I'm using it. That's what I paid for my PSVR without controllers! Great price. We just need graphics cards prices to drop now. 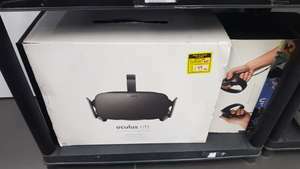 Never miss a 'Oculus Rift' deal again! Ive ordered, cant go too wrong for £10 :) thanks OP! Does this have the locomotion thing as standard or do I need to mod it? Now if only they'd do a full fat VR Doom! I've played plenty, and played this through to completion. It was great - very atmospheric, good locomotion after the initial teething problems, and good fun. Have you tried the PS VR version? It's massively improved with the use of the Aim controller (even though it was a last minute added feature). If they would just add a way to turn artificially I would be all over this. I only notice God rays when games are loading, like a white title on a black background. Supersampling can help with resolution if your pc can handle it. VR games can be pretty expensive but I'd just add games you're interested in to your wishlist on steam. Vr games on steam and oculus store can be heavily disconnected over the holiday season. Batman Arkam VR is £4 on cdkeys atm which is worth a shot. Also flight simulators and racing games tend to negate the fov issue for immersion as your vision would be restricted by a helmet anyway. Be interested to see how you get on - Argos can be a pain for taking stuff back, usually you will have to have a technical call with the manufacturer first. I went lenovo, £200 quid saving and a better resolution, Will upgrade to pimax soon next year. This was a poor deal from oculus. Shame that Oculus haven’t come up with a better offer. This late in the product’s life cycle I feel we should been seeing sub £300 deals. It wasn't £600 a year ago that's a fib, it was £349 on Black Friday and $349 in the states. 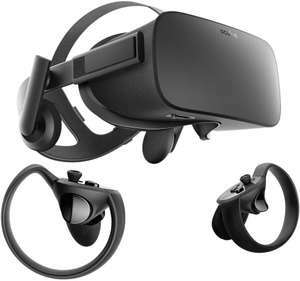 The price is the same as last year so it's a poor deal: https://www.alphr.com/deals/1007793/black-friday-2017-get-an-oculus-rift-and-touch-controllers-for-349 Also I've tried both, and I think you are vastly exaggerating the difference, tracking is marginally better but really not much in it. I wanted Oculus for the store and better SteamVR compatibility. It so immersive and far better than triple monitors. Multiplayer is awesome with friends, again the gameplay is enhanced as you can literally be next to your friends covering their backs from zombies / enemies etc. It takes any game up several notches for playability. It's a reference to the vertical resolution of the screens available in VR headsets. It's not an exact science, but this generation of Rift is roughly 2k (2160x1080), which means you can see the individual pixels in what is referred to as the Screen Door Effect (SDE). The next generation of headsets will have higher resolution and the SDE will continue to be mitigated until it goes away entirely. The problem with 4k resolutions and above are that you will either need a multiple of the computing power to throw all the pixels around or a technology called Foveated Rendering which can track your eyes to see what you're looking at and only fully render the bit of the screen you actually need. Just bought 1 from the official website with a referral code! Came down to £314! Can't wait. Technically a good deal but shouldn't the price be less than the salute a year ago. I guess you can't say it for PC components but still! I've voted hot - but be warned - so far I've failed to download any apps using Viveport. I'll be re-installing/debugging at at the weekend. While it looks better laid out than Steam it doesn't seem as good for getting at your apps! Finally got Viveport to work. Tried disabling Windows Firewall - didn't help. Still only getting 0.2 MB/s! Turned off antivirus - Avast - until my next reboot. Managed to download several games. Yes, if you don't get distracted by the Fresnel lens, it then personally I think it wins over the Oculus everywhere. Tracking wires, I found the Rift got my face way too hot and being a glasses wearer it was awkward to get on and off. or 2 diagonally according to the box i ticked when buying. It's a lot of well made content for not a lot of money. Last Hope and Talos Principle are well worth £15 each so everything else is basically free content. Huge respect to Croteam for putting the work in to porting those to VR. I don't even own a VR headset for PC yet, but I'm very tempted by this. If you have VR it's well worth getting on the mailing list by subbing. Over the years I have had three different HTC Vives and probably paid for 2 months of subscriptions with them. Most VR games are short so you can really see if a game is worth kepping using the 5 game rental. They have given me :- 1) 8 months of free subscriptions though emailed codes 2) £8($10) for buying a few games (hopefully similar for being a subscriber on 20th November) 3) Free games Nevrosa, Everest, Shooty Fruity, Overview, Guns'n'Stories, Final Soccer VR, Arcade Saga, Front Defense, Super Puzzle Galaxy. (Plus that £8 bought me Together VR and a bit of Accounting+) The Vive Video player is the best 360 player imo, I have redeemed a few games with them and they also just show up in steam or Viveport shows all your steam vr games. 'Just like Steam'? Do you even know how Steam works? !